Are You Communicating Or Just Sending Stuff Out? Why do people struggle to effectively communicate? Who’s worse in the company when it comes to communication – upper management, middle management or the front line? How can we take steps to get better? 1. 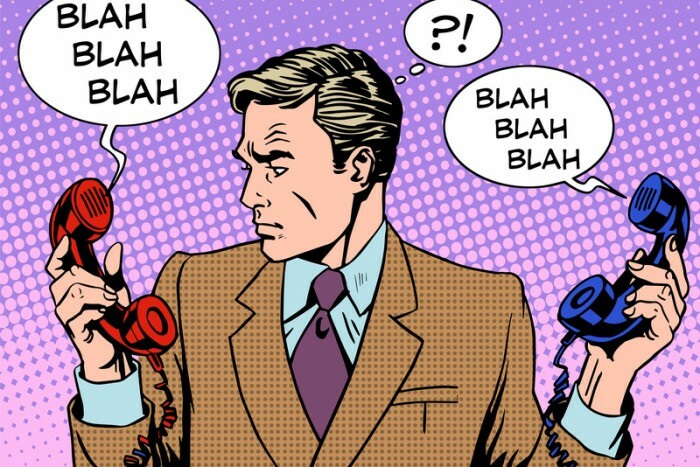 Why do people struggle to effectively communicate? We don’t know how to listen — We honestly could end the summary notes with this point. We don’t listen to others. The moment someone states something, we’re already forming our response in our head. We don’t wait until a person’s thought is completed. We aren’t talking about “active” listening. We’re talking about genuinely listening at all. It needs to change !! We don’t think we’re communicating poorly — All people are great “senders” when it comes to communication. We have no problem sharing our thoughts, ideas and insights either in person or electronically. There is no lack of communication going out, but the return message is not usually clear. Since we are now living in the “send society” where we feel everything must be shared, heard and/or seen, it’s even more difficult to have a strong communication loop. We mix mediums (and don’t understand them all) — We are under a constant barrage of messages from our laptops, our phones, social media platforms, e-mails, in person conversations, etc. It’s never the same medium, and it’s challenging to be masterful in all forms of communication. The sheer volume of messages only adds to the constant pull and distraction from feeling that we must respond to everyone in every possible way. We’re human — We keep forgetting that we are diverse by nature. There can be an untold number of factors that make us unique. Our age, gender, cultural background, current geography, race, type of occupation, etc. all play into how we communicate. We rarely focus on the reality that we are all different in so many ways. Yes, we have common circumstances that put us in similar environments. However, we keep forgetting our humanity. It was makes diversity awesome !! We just have to quit wanting everyone to be the same. 2. Which level of a company is worst at communicating? The answer is ALL of them! — No one layer of an organization is better or worse when it comes to communication. The same challenges and pitfalls that happen with executives happens with folks working on the assembly line. There isn’t some magical hierarchy of what topics and subject matter have more weight than others. The reality is that all levels of an organization talk mostly about one topic — PEOPLE. We gossip about humans — If you step outside of conversations and listen in, as all good HR people should (editor’s note), you’ll hear one common thread. We spend more time in our day talking about people instead of talking to them. This is true at every level of an organization. Take the time to do this. Stop engaging in a conversation and listen to what is being said. Chances are people are discussing how some project or task isn’t being done the way they think it should be done and it’s ________________ (insert name, let’s use “Steve’s”) fault. It consumes us and gets us stuck in an ineffective communication tar pit. We stay in our lanes — Another organizational reality is that people spend most of their time communicating to others who occupy their same level. That is where we have the closest work relationships and it’s who we go to when an issue arises. This isn’t right or wrong. It’s just our reality. So, when you wonder why communication is a struggle in a company, you have to see how people are currently communicating – within their level. This includes HR, when we should be moving in and out of every level. 3. How can we get better? Set up feedback as an expectation — Give people the parameters that conversations need to be two-way with all who are involved in the conversation. Try to make conversations happen at the time they occur. That sounds odd, but you need to try to limit the 1,000 side conversations that the people who should be involved aren’t present. Feedback is needed throughout all levels and in all communication. It takes practice and a commitment, but it is well worth establishing this expectation. Look at how you currently communicate — Before coming up with some dictate launched from the mountain top of the executive branch, do an analysis of how communication happens now. Look at interdepartmental communication, intra-departmental communication and methods of communication. There are hours and days of work sitting there waiting to be unearthed. You can’t change what you don’t know. Again, it’s worth the investment of your time. Don’t allow the agreeable nod — Most people nod just to get the conversation to end. They may or may not understand what was just discussed, but they want to move on to what they think is important. So, ask for people to repeat what was discussed and make sure you practice the same behavior. Two-way communication has a better chance of being effective when you don’t allow the agreeable nod. Know that change happens whether you want it to or not — In organizations we struggle with another myth – the myth of control. We feel that if we use common internal acronyms or terms then everyone is “on the same page.” They aren’t. They may be close and they aren’t trying to be malicious, but we want to have communication be so “sender-centric” for acknowledgement that we fall into the trap that once something is said, it will be completed accurately. Communication is a continuum, as is most activity within an organization. We need to fall into the flow of the constant movement of change and communicate within it. It works if you’re willing to loosen your grip a bit. This was a raucous session and full of passion, discussion and energy!! You should do your best to not only read the summaries from each Roundtable, but make the effort to attend in person. You’ll be glad you did. Steve Browne, SHRM-SCP, is the Executive Director of Human Resources for LaRosa's, Inc., a regional pizzeria restaurant chain in the Greater Cincinnati and Dayton, Ohio area with 16 locations and over 1,200 team members. Steve has been an HR professional for more than 30 years in the manufacturing, consumer products, and professional services industries. He facilitates a monthly HR Roundtable in Cincinnati and runs an Internet message board for HR pros that reaches 7,800 plus people weekly. Steve joined the SHRM Board of Directors in January 2016. You can contact him at sbrowne@larosas.com, or on Twitter (@sbrownehr). You can also read more on his personal blog, Everyday People.